Are You a Carnivaholic? A Funatic? Funnelhead? Justin Bieber has the adoring Beliebers, Barry Manilow has the Fanilows and Katy Perry has the KatyCats. So why shouldn’t Carnival Cruise Line have a clever name for its superfans? It soon will. 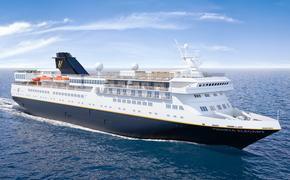 The Fun Ship line launched a Facebook contest asking its 3 million followers for suggestions. “We want something to call all of our awesome fans and who better to pick the nickname than well, all of our awesome fans? 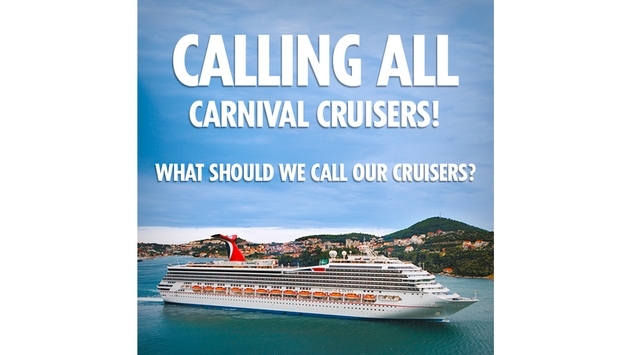 Whether it’s Cruisies, The Fun Ones, Cruise-saders, suggest a nickname for us!” Carnival posted on its Facebook page. Well, the rabid fans didn't disappoint, posting almost 1,500 responses so far and some laugh-out-loud funny suggestions. Early favorites appear to be Funatics and Tail Mates, the latter evoking the ships’ highly recognizable funnel, which is shaped like a whale tail. “Any cruise line can be a cruiser, floater, etc., but only one line can incorporate that famous Whale Tail!” wrote Lisa Headrick. Other suggestions: Carnivaholics, Cruisetaceans, Vacationators, FunSeekers, Yaycationers, Funnelheads, and Fin-Fans. Carnies was suggested several times. Of course, one person suggested Drunks. Another suggested Broke, perhaps after a bigger-than-expected bar bill? More than one recommended that Carnival simply continue to use VIFP, which means Very Important Fun Person. Carnival opened the contest on Feb. 4 and is accepting entries through Feb. 13. Carnival then will select four finalists with fans casting their votes Feb. 16-20. The selected name will be announced Feb. 23. We can’t wait to see what the winner is. I’m pulling for Funatics.